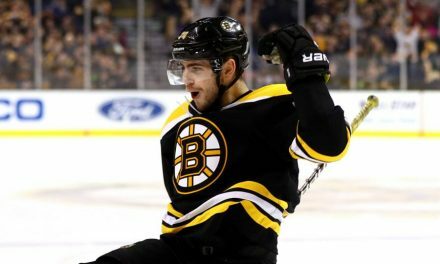 What’s Different About the Bruins? 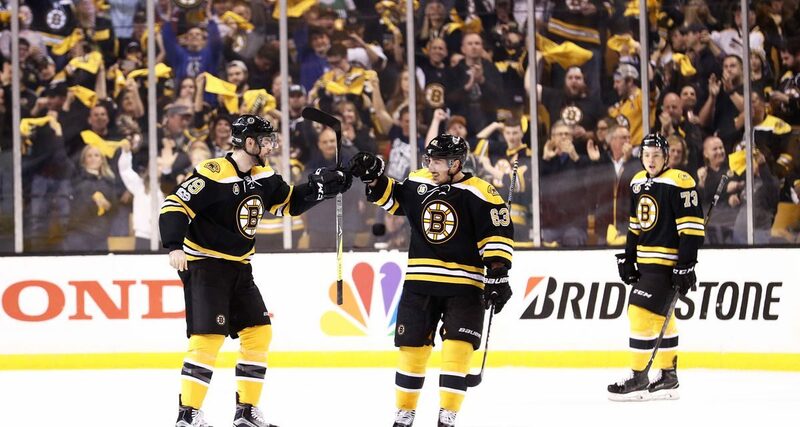 The Bruins have finished the last three seasons with nearly identical numbers, finishing with 96, 93, and 95 points. We were treated to a brief playoff appearance last season, but they certainly weren’t ready to make the jump into the upper tier of the league. Luckily for B’s fans, this year is different. Currently sitting comfortably with the second spot in the Atlantic and on pace for 113 points, this poses one question: what’s making a difference? For starters, the Bruins have two goalies who have put up solid numbers. Rask got off to a slow start, posting an October save percentage of just .896. This lead to some early season controversy regarding the starting position, seeing as Khudobin came out of the gate hot. But around early December, Rask’s play transformed into what we’re used to seeing out of him. With Khudobin also continuing his stellar season, the Bruins have consequently climbed the standings going 15-2-4 since December 1st. 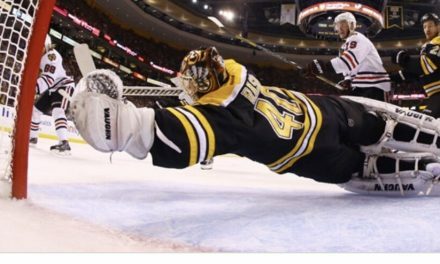 As of today, Rask has started thirty games to Khudobin’s seventeen, emphasizing the faith that the coaching staff has behind both of them. And seeing as both goalies currently boast a season save percentage north of 92% and a GAA below 2.4, it comes as no surprise to see both of them getting their minutes. In addition to the dynamic duo between the pipes, the Bruins have also enjoyed plenty of production from players who can’t even drink yet. Rookie standout Charlie McAvoy is leading the way, even drawing some Calder Trophy attention. It’s unlikely that he’ll bring home the honor being a defenseman, but his 25 points through forty-five games to go with his +18 rating is exactly what the Bruins needed. Playing mostly on the top pair, McAvoy has also been given the credit of rejuvenating the play of Zdeno Chara. The two have worked well together all season, and Chara is proving that he still has something left in the tank. Rookies Danton Heinen (10-21-31), Jake DeBrusk (10-14-24), and Matt Grzelyck (1-5-6, +13) have also risen to the occasion this season. Each are proving that they are both hungry and capable of establishing themselves as NHL players. The B’s have also managed to combine their trademark “hard-nosed” style of play with a sufficient amount of skill. Between the years of 2010-2016, they failed to have a single seventy-point player. The team simply lacked that “big name scorer” that every team needs for both the fans and the results. But we can now see that Brad Marchand is ready to wear that label. 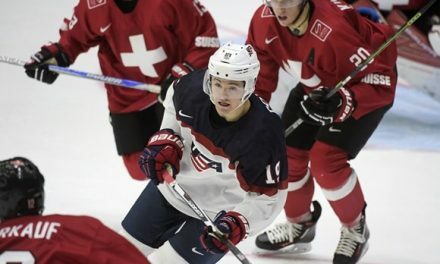 His increase in production really began in the inaugural World Cup of Hockey. Even while putting up eight points in just six games during Canada’s gold medal run, Marchand is best remembered for his tournament winning goal with just 43.1 seconds remaining to beat Team Europe. From there he took off and established himself as one of the premier forwards in the NHL. He went on to finish the season with 85 points, good for sixth in the league in scoring. This surpassed his previous season high by 24 points and is the most by any Bruin since Marc Savard in 2009 (88). 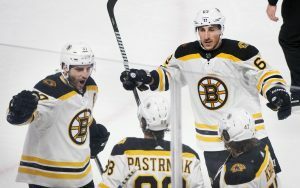 Carrying his play into this season Marchand has been helped out by line mates David Pastrnak and Patrice Bergeron. With 44 points through 45 games for Pastrnak and 39 in 40 for Bergeron, all three players on the Bruins top line are on pace for career high point totals. And lastly- Bruce Cassidy. The Bruins were lucky to have Claude Julien but after ten years it was time for a new voice. Luckily for the B’s, that voice was already in the organization. Having coached in Providence since 2008, Cassidy was already familiar with several players and the Bruins systems. One of these players is Torey Krug, who recalls that “everything was quick, on the go. He doesn’t like to spend time explaining drills or being at the board at practice. It’s go, go, go”. Krug went on to mention that this becomes a habit and translates into games. With nearly half the season remaining, it will be interesting to see if Cassidy and the Bruins can keep up this unexpected pace. But with the way things are looking right now, there’s plenty of reason to be optimistic. 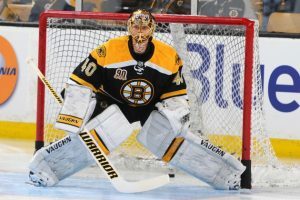 Is Tuukka Rask Back to Vezina Form?